It’s not just building owners who are responsible for upholding fire safety and “ignorance is not bliss” when it comes to fire safety responsibilities, Kizzy Augustin, Partner at Russell-Cooke, has said. 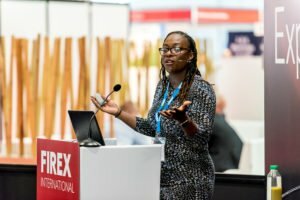 Speaking recently at FIREX International 2018, Augustin considered the legal ramifications of the Grenfell fire, and what it could mean for future fire safety prosecutions. She listed questions about how the duty holders acted: were residents of Grenfell heard when they complained about certain aspects of fire safety? Were fire authority regulators right to give the tower a medium risk rating? Did those carrying out the refurbishment fulfil all their responsibilities? These questions, she said, will be answered in the inquest and any subsequent prosecution, but her point was that “It’s very important for every duty holder within an organisation to know what their responsibilities are. Most fires will fall into the top category when establishing a risk of harm, as there is always a risk of death in a tower block fire. For a large organisation (one with a turnover of over £50 million), a Category A offence will have a starting point of a £4m fine. “Have we learned from Lakanal House? Perhaps not, because a similar fire has happened. The question is why?” asked Augustin. “We’ve got to look at culture, and I think from Judith Hackitt’s point of view culture change is very important, but we’re not going to get there just by saying it. The review is great on paper, but we don’t really know how we’re going to get there as a fire safety industry. 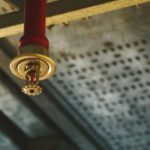 Grenfell could spark more prosecutions for extended duty holders It’s not just building owners who are responsible for upholding fire safety and "ignorance is not bliss" when it comes to fire safety responsibilities, Kizzy Augustin, Partner at Russell-Cooke, has said. Question is will local authorities be considered Duty Holders? I doubt it.